Pinterest is a valuable home design resource when used properly. Some homeowners peruse Pinterest during their renovation and then suddenly change their plans. They now want to follow the latest and most talked-about trends on Pinterest without thinking about the big picture. Today, we’ll talk about “Pinterest House syndrome” and explain what you need to avoid. What Is ‘Pinterest House’ Syndrome? Pinterest House syndrome means following the latest and greatest Pinterest trends without considering how these trends can actually come together into a beautiful whole. A Pinterest House looks a mess because it is just a series of “trendy” features that are thrown together. It’s unfocused and impersonal. Even if the internet and the magazines are going crazy over a particular trend, you should always make sure that this trend works for you and your specific home. What looks good in pictures may not necessarily look good when applied to your home. As one of the top home addition contractors in our area, we recommend working closely with a professional designer during your project. Your designer has the experience and skills necessary to help you decide if a certain trend will work for your home. Here are a few design trends that are best avoided during your renovation. Over-the-top bathroom remodels – Avoid completely demolishing an old bathroom and replacing every fixture. Old bathrooms often have fixtures and tile designs that you can’t find anywhere else. It’s what gives the rooms their style and integrity. Work with your designer and see what elements you can conserve. Graphic tiles – Overly busy and distinctive-looking tiles might be trending right now, but one day people will get tired of that specific design, color or pattern choice. When that day comes, replacing those tiles can be costly. When we work on bathrooms and family room additions, we advise homeowners to incorporate colors or designs in small ways that are easier to replace or change. Specialty hardware finishes – This is another design element that can quickly date your bathroom or kitchen. Specialty finishes aren’t always popular. Even if a certain finish has charm, this often requires using the finish in specific ways. Specialty hardware finishes are best used as accents, not everywhere. 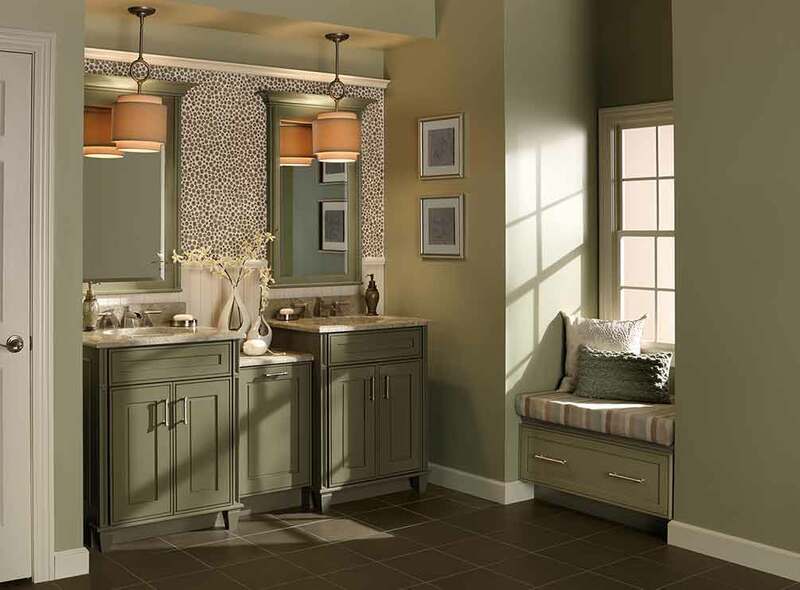 DreamMaker Bath & Kitchen of Wooster can help you with your bathroom or kitchen remodeling project, creating a cohesive and beautiful design for your remodel. Our full-service remodeling approach focuses on helping you through every step of your remodeling project. Call us at (801) 203-3307 or contact us here to learn more about our services and products!